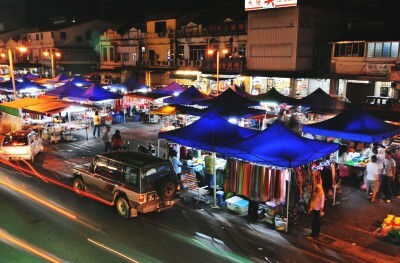 SIBU: The popular pasar malam (night market) here, which was established in 1973 by the Sibu Municipal Council (SMC) to help low-income hawkers, will be relocated to Butterfly Garden near the Tua Pek Kong Temple next Monday. SMC deputy chairman Daniel Ngieng said the relocation of the 176-stall market was necessary due to the serious traffic congestion around the present site at the open carpark between Market Road and High Street. Ngieng said in order to facilitate the movement of the hawkers’ vehicles during the setting up of the stalls, the entrance from Island Road to Butterfly Garden would be closed after 3pm daily beginning next Monday. A hit: The night market will be relocated to Butterfly Garden next Monday. “All cars parked inside the Butterfly Garden must leave before 4pm. After 5pm, all vehicles except those belonging to the hawkers, are not allowed to enter Cross Road,” Ngieng said. The council will display banners and signboards to inform the public of the changes to the traffic flow. Ngieng urged all the hawkers and the public to fully cooperate with the council in making the relocation a smooth one. He assured the hawkers that the council would still make minor changes even after the relocation had been completed. The market is usually open from 5pm to about 11pm, offering a wide variety of products from clothes, shoes, bags, toys, watches, posters, handicrafts, gifts and food and drinks.